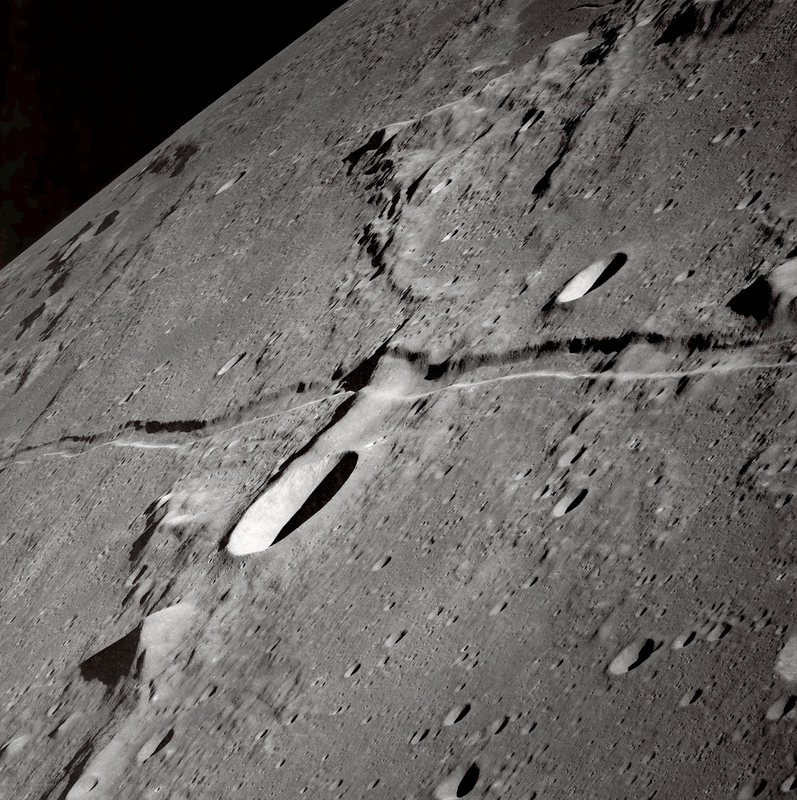 This oblique view of the Moon’s surface was photographed by the Apollo 10 astronauts in May of 1969. Center point coordinates are located at 13 degrees, 3 minutes east longitude and 7 degrees, 1 minute north latitude. One of the Apollo 10 astronauts attached a 250mm lens and aimed a handheld 70mm camera at the surface from lunar orbit for a series of pictures in this area. Source : Nasa.